We are the Campas! : Spring Events in Review! April was the cat's meow with Auntie Barbara's birthday party. 85 years and still smiling, laughing, and humming! 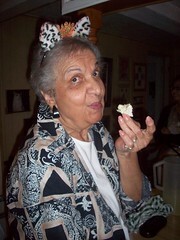 My mom made wonderful kitty flower arrangements and cute kitty ears for everyone to wear. There was delicious food and so many happy party guests. In May, my cousin Stephanie Duarte turned 26! She celebrated with the most unique party theme ever-- Popeye. 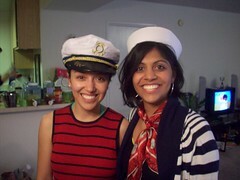 We BBQ'd at her cool downtown apartment in sailor hats and blue and white! We enjoyed DELICIOUS food and even had a push up competition. 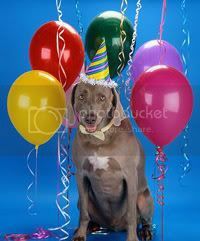 Great Party! Then, to finish off the month, I drove my three sisters to Las Vegas to see Makayla's favorite band, Paramore. It was a fun-filled sister bonding event- one I will not forget soon :) Check out all of our shenanigans. 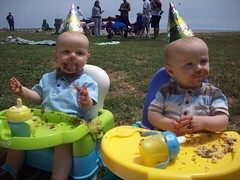 Finally, to kick off the summer, the Beck twins celebrated ONE YEAR! Wow! And congrats to Leesa, Joe, and Lita for making it through! We celebrated with a picnic by the beach and a pool party with Hanna! 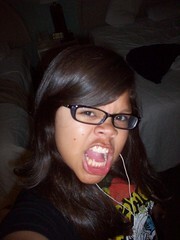 As you can see, so far 2010 has been full of action. And there's a lot more to come!